Borrowing to pay for your education? Make sure you’ll be able to pay off that debt. Check out Montana’s top community colleges with the highest-paid graduates. Welcome to Big Sky Country! 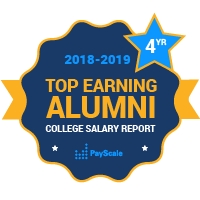 PayScale’s College Salary Report has salary data for alumni who earn an associate degree from colleges in Montana. Montana is known for Yellowstone National Park and mountains as far as the eye can see; it’s truly a beautiful state, and a unique place to attend college or university.